Thank you for registering for The NECC 13th Annual Summit! Browse our speakers and sponsor, or simply connect with other attendees! 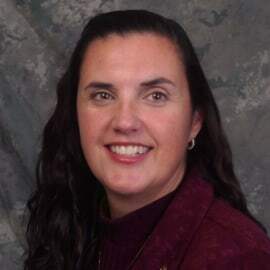 Dawn Beland received her Bachelor’s of Science in Nursing at Southern CT State University and her Master’s of Science in Nursing at the University of CT.  She is certified in critical care nursing, neuroscience and stroke nursing and as a clinical specialist. She has worked in neurosurgery, neurology and critical care nursing for more than 33 years, first as a staff nurse, then as a critical care educator and currently as the Stroke Center Coordinator for Comprehensive Stroke Center at Hartford Hospital. Dawn is actively engaged with the CT Department of Public Health and the American Heart Association to raise community and professional awareness related to stroke, and stroke prevention and was part of the team that worked to get legislation passed on the recognition of stroke centers in CT.